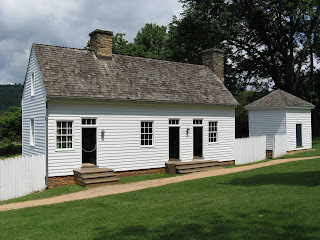 James Monroe’s plantation, Ash Lawn-Highlandre, re-creates the atmosphere of a working farm with weaving and open hearth cooking demonstrations. 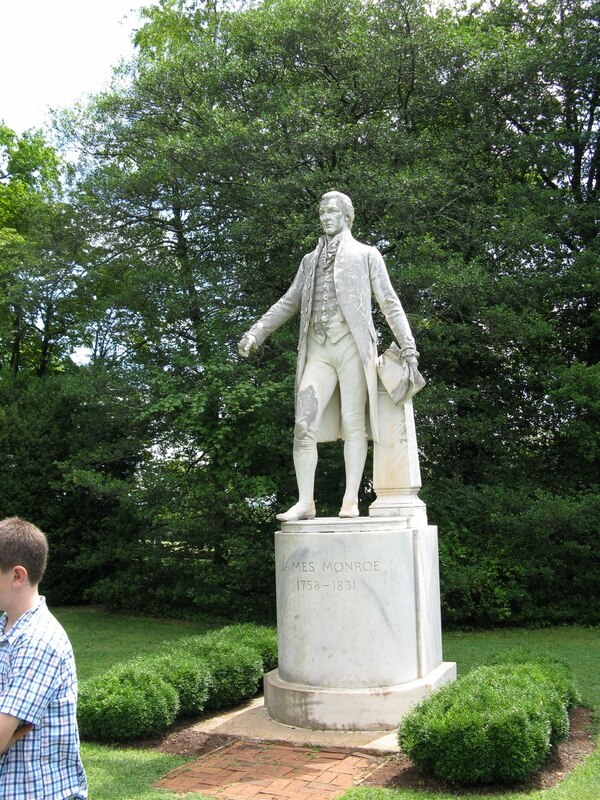 President James Monroe’s plantation, Ash Lawn-Highland, is adjacent to Thomas Jefferson’s Monticello in Charlottesville, Va. Jefferson, a close friend of Monroe, encouraged him to buy 535 acres and build his home nearby. At one time you could see the Monticello dome from here, but now trees obscure the view. The Monroe estate recreates the atmosphere of a working farm with weaving and open-hearth cooking demonstrations, but it provides a very different experience from touring at Monticello. At the small visitors center where I bought tickets, I asked when the next tour was. The cashier explained the guide at the house was waiting and to go out, back down and around the corner to the entrance. The tour group was smaller than at Monticello, but Ash Lawn-Highland was not built on the same scale. When Monroe’s friends visited, they all threw their pads down in the same bedroom. I can’t imagine modern presidents sharing the same floor space with their wives. Because most people aren’t knowledgeable about Monroe, the guide gave us a brief history of his life. Monroe held more national offices than any other president in history. He negotiated the Louisiana Purchase with Napoleon, but Jefferson signed off on it, so he gets the credit. Monroe also negotiated a truce with Britain that might have prevented the War of 1812, but neither Jefferson nor his friend James Madison paid any attention to that possibility. Monroe became so angry with both that he didn’t talk to Jefferson for months or to Madison for two years. Eventually, they were back on friendly terms. 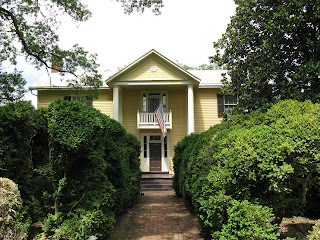 Monroe had slaves but had strong feelings against slavery. Like Jefferson, he felt trapped by the practice. Monroe’s own slaves were treated well, but he did not have particularly good overseers and did not make the money needed to maintain the plantation. After his presidency ended, he had to sell the property. Monroe’s wife, Elizabeth, was a petite woman. Her wedding dress and one other is on display. The Monroes spent a considerable amount of time in France, and the whole family spoke French at meals. Much of the furniture in the house is original and shows a heavy French influence. The setting is idyllic, and it is still a working farm. Our guide was delightful, so facile and quick-witted I was surprised to discover that she was an intern and had not been leading tours for years.